Last year in March, I went for a 5-day trip to Hanoi, Vietnam with a friend. It was my first time in Vietnam and I was extremely excited! My friend could only join me on the second day, so I would be going solo on the first. Not that I really mind since I love traveling solo, but a travel companion would be nice. 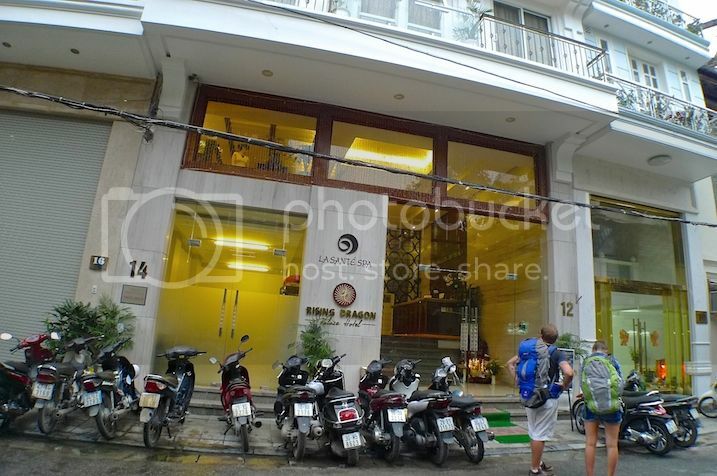 Two months before the trip, I came across a website that offers free personalised tour by a non-profit, student-run organisation in Hanoi called Hanoikids. Now I am not very fond of joining any tour groups, but this is totally different. What Hanoikids do is they will send a local student to be your tour guide and the itinerary is entirely up to you! 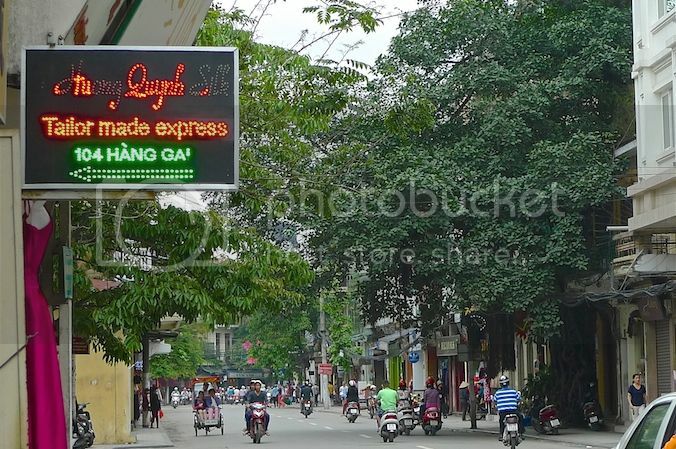 Since it was my first time in Hanoi, I thought that getting a local student to show me around and introduce me to the local culture would be a great idea. Unfortunately, when I emailed Hanoikids to book a one-day tour, this was the reply I received. (Please enlarge to read). I learnt that you need to book the tour way ahead in advance, probably 3 - 4 months ahead. I had made my bookings only 2 weeks before my trip so they were not able to accommodate me. 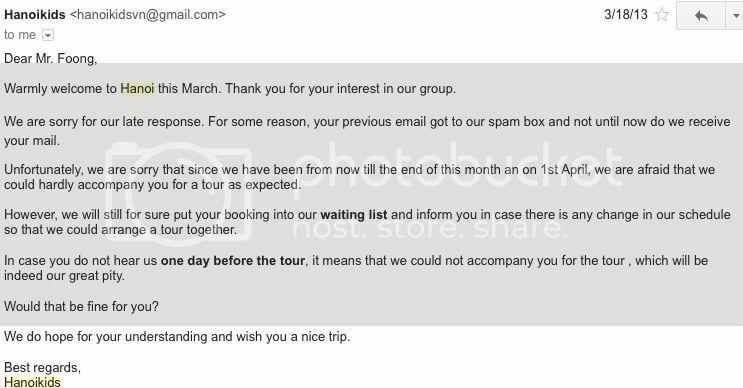 Luckily, 2 days before my trip, I received an unexpected email from Hanoikids telling me they could now offer me a half-day tour on the day I requested. Even though it was just half day and not a whole day as I had initially planned, that was good news indeed! So I was really excited that early morning at the airport waiting for my flight from KL to Hanoi. 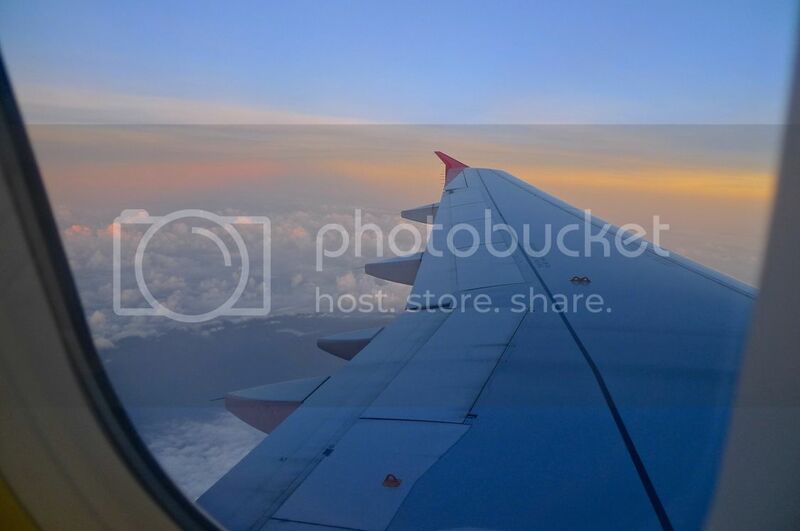 Although the AirAsia flight was supposed to take about 3 hours and 20 minutes, I arrived at the Noi Bai International Airport 15 minutes ahead of schedule. Surely, that's a good start to my Hanoi trip! One thing good about traveling to Hanoi is that you do not need to fill in any immigration card during the flight or at the airport. I have always found them to be such a hassle although it's a necessary procedure in many countries. From the airport, I took a taxi to my hotel (Rising Dragon Palace Hotel) located at Old Quarter. I noticed that taxis in Hanoi were mostly Toyota Camry cars. The journey from the airport to the hotel took about 45 minutes, and I was charged 315,000 VND (Vietnamese Dong) / US$15 / RM48. The taxi did not use meters and this amount was agreed upon before I entered the taxi at the airport. I did not have the exact amount so I offered the taxi driver 400,000 VND (in fact, 400,000 VND was all I had in my wallet - the rest were US dollars and some Malaysian Ringgit) but he told me he had no change. Now I was not sure whether he genuinely did not have the change so I told him to wait while I went into the hotel to ask for some change. Later, I found this to be a wise thing to do as I discovered a lot of the taxi drivers in Hanoi (though not all) like to say that they do not have change. My first impression of the Rising Dragon Palace Hotel was their excellent and friendly service! But more about this hotel in another post. 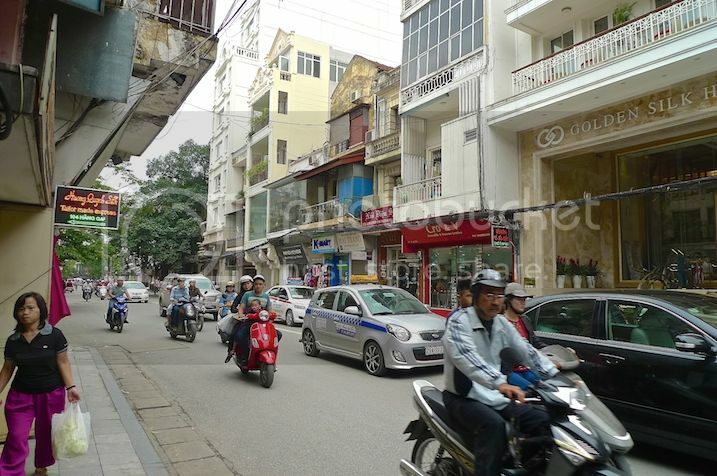 Immediately after checking into the hotel, I went out to explore the streets of Hanoi. My first priority however, was to search for a bank to change the US dollars I had with Vietnamese Dong. The hotel also provided money changing service but I found that their rate was not too attractive. I managed to locate a bank near the hotel (it's called Sacombank) with quite an attractive exchange rate and became an instant millionaire! LOL! I was not sure if 4.2 million VND (about US$200) would last me for the next 4 days, but I could always buy again if it's not enough. 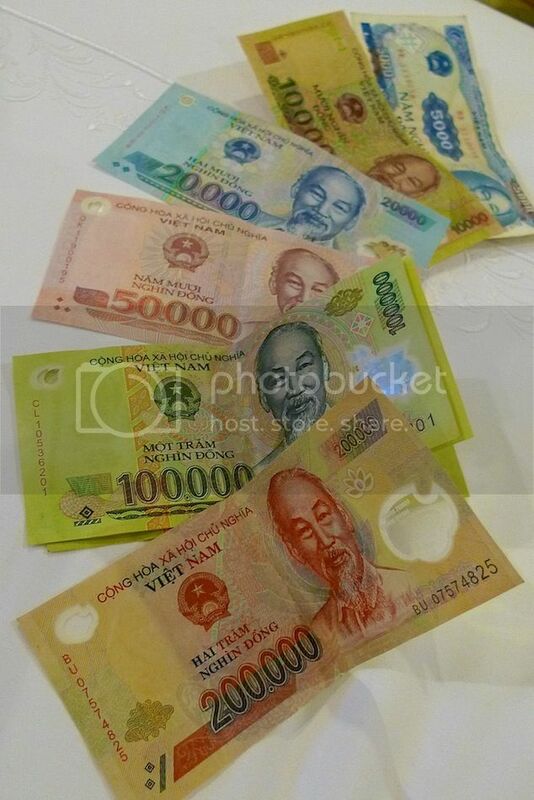 How I wish that was US$4.2 million and not 4.2 million VND! LOL! I also requested more of the smaller 5,000 VND bills from the bank just in case I would come across taxi drivers or even local people who would dare to say "No change" to me! 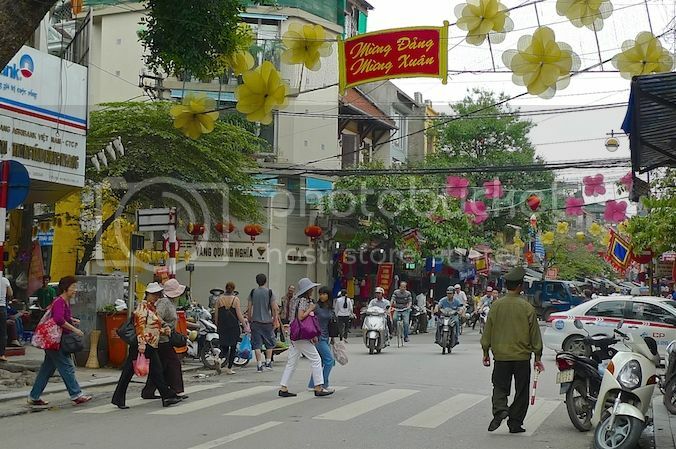 The best way to explore the Old Quarter area in Hanoi is by foot. Well, that's the advice given to me by one of the hotel's staff and he's completely right! It was the end of March and I have to say the weather in Hanoi at this time of the year was pleasant. Not too hot, and not too cold. Just perfect, especially for walking around! Very near to my hotel is this departmental store called Hang Da Galleria. It has a cute clock atop the main entrance. Surprisingly, I did not go inside - maybe because I was too busy walking the streets LOL! 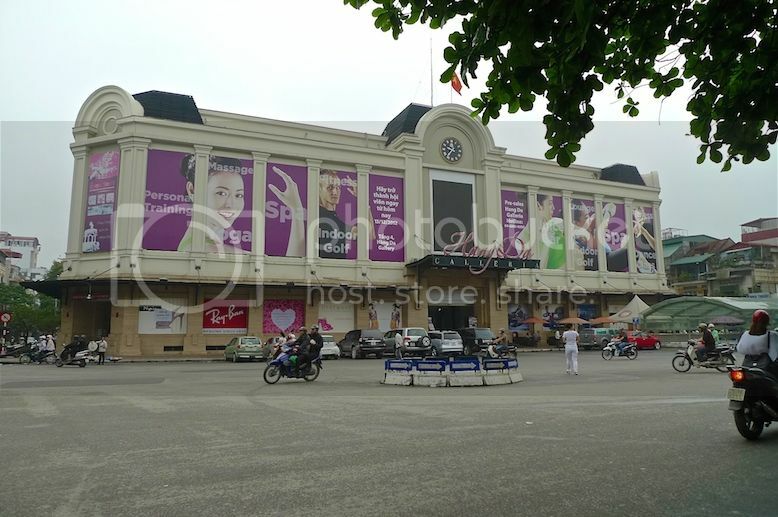 Opposite the departmental store is the Hanoi Theatre. Oops! I forgot to take a picture of the Hanoi Theatre building! Damn! 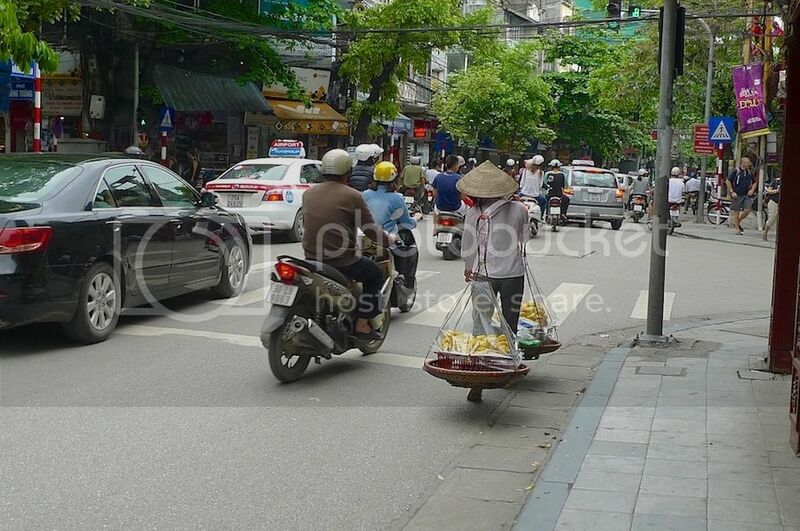 My first impression of Hanoi streets was the traffic! It was pretty chaotic and crossing the road was quite a nightmare. Later, my tour guide from Hanoikids would teach me the correct way to cross the road! The sight of local woman in conical hat carrying two baskets balanced with a stick on her shoulder was everywhere. 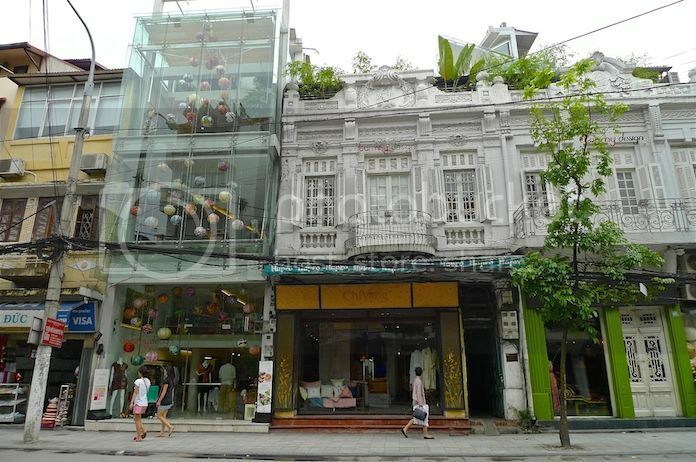 This is Hang Gai Street, one of the more famous street in the Old Quarter. Despite the chaotic traffic, I found the Old Quarter to be quite charming. Look at the buildings! I must have walked around for quite some time because when I looked at the time, it was almost 1pm. I needed to rush back to the hotel as my tour guide from Hanoikids would be meeting up with me there at 2pm. But with so many streets in the Old Quarter I lost my direction and did not know how to get back to my hotel. Would I make it on time?